During open hours, we’re glad to take donations of bicycles, parts, and/or tools, preferably in useable or repairable condition. 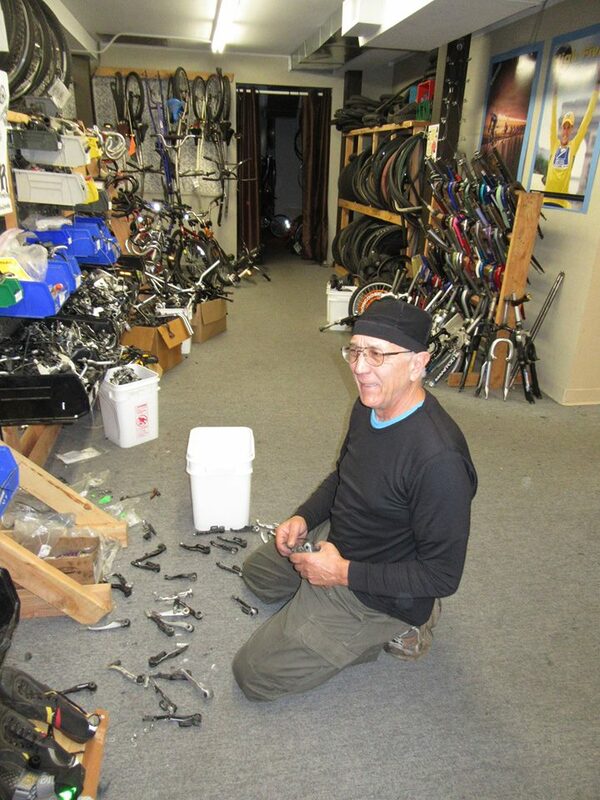 Even if the bicycle cannot be repaired, we will salvage parts for the shop and recycle or re-purpose the rest. Generally, we are not able to pick up donations, but we do make exceptions if we can find a volunteer and a truck. If you think you have something we’d be interested in, but can’t get it to us, please contact us. If you have a large quantity of bikes to donate, a heads up is great, but not necessary. The shop opens every day at noon!